Toyama's spring specialty, firefly squids. 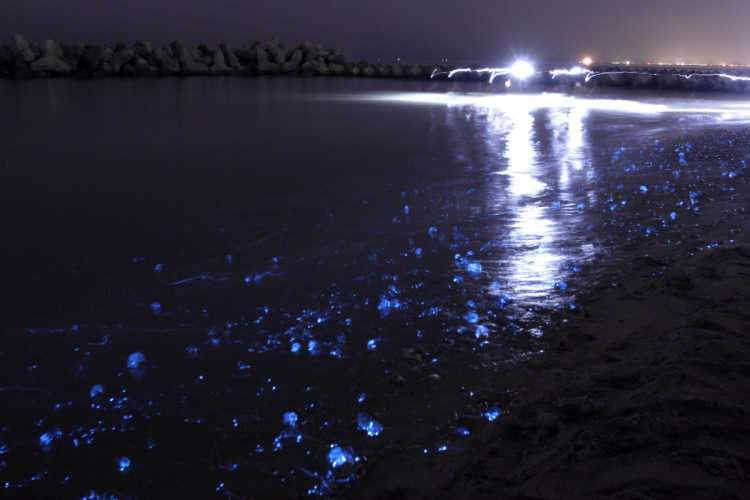 You can sometimes see firefly squids thrown up on the shore. The sparkling blue lights on the night shore was very fantastic.